After releasing his debute album (called “Burning The Rules”) Juan van Emmerloot hits back with a surprising follow up: “Hidden Treasures”. An album full of instrumental music that are true ear candies: cool compositions, surprising music arrangements and outstanding performances by all musicians. 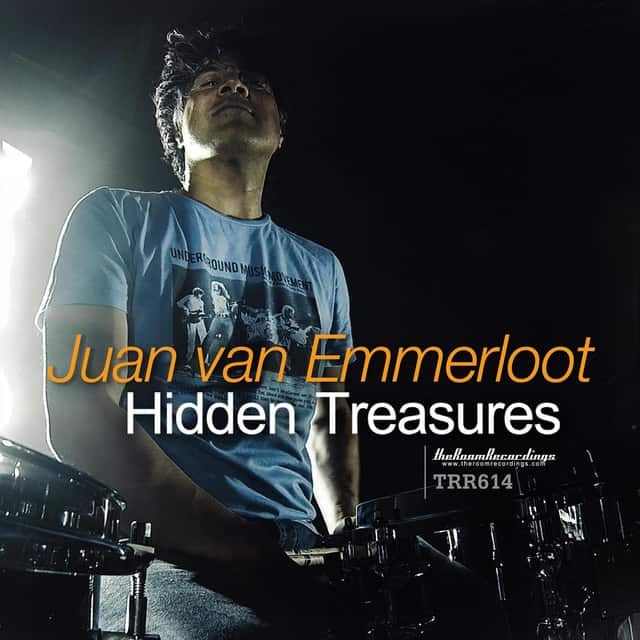 On this production Juan took the initiative to take everything up to a next level by working together with the finest composers like Fabio Valdemarin (Fiorella Mannoia),Thomas Bank (Souls United, Candy Dulfer) and Emile Bode (New Jazz Adventure). Like on his debute album Juan invited a fine group of musicians from his international touring network to join him on this master piece: Albert van Dorssen – keys (Licks & Brains), Damian Corlazzoli – lead guitars (Giovanca), Edward Capel – sax, Frans Vollink – bass, Jan van Oort – tenor, John Bundrick – keys (The Who, Bob Marley), Jos Kamps – bass (Eric Steckel) and Paola Zadra – bass (Fedez, Stef Burns League). This album was produced by Juan van Emmerloot, recorded and mixed at Vanmerloot Music Pros and mastered by Emile Bode.